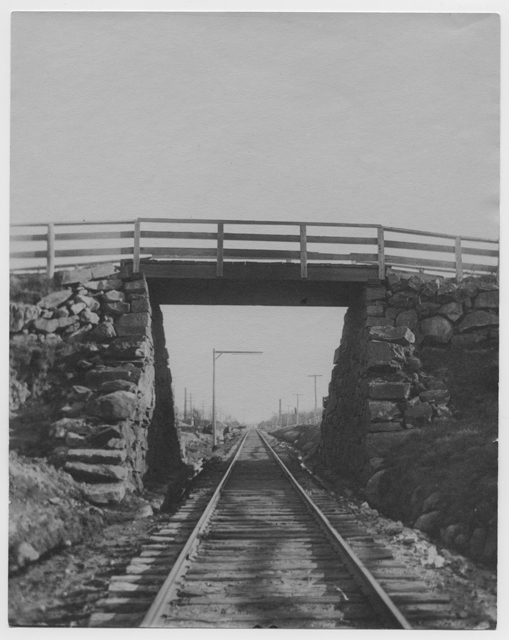 Two years ago, we noted that the wooden planks in the Howland’s Lane bridge over the railroad tracks needed to be replaced, an issue had been under discussion for a decade. The bridge, built in the 1870s and renovated during the 1930s, is now closed for repairs. Rocky Nook’s primary water main, carried over the tracks underneath the bridge, will also be upgraded. See here and here for details. 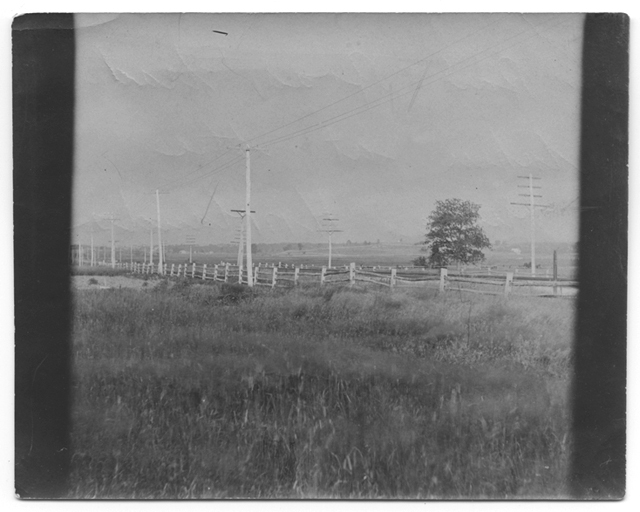 Here are few early images of the bridge and the surrounding area. How peaceful is this setting in the fields. One can hardly imagine the many trains that now go to steadily stream to and from Plymouth each day. 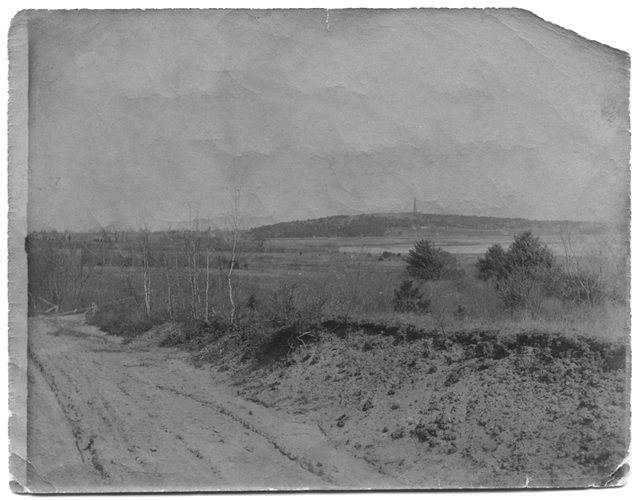 The Standish monument already stood across the Bay, but other familiar elements were missing. 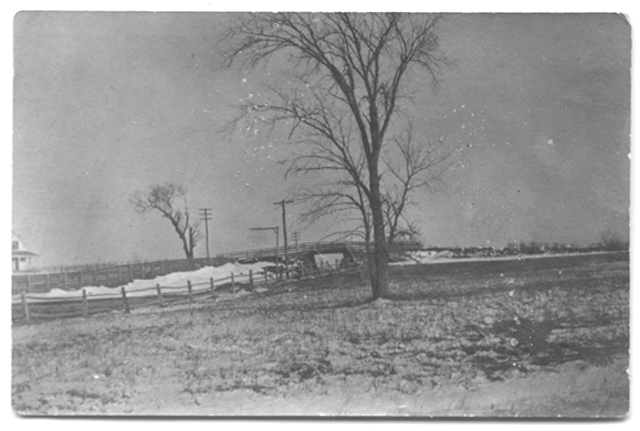 Howland’s Lane was not yet unpaved. No water line crossed the bridge. No one lived in Rocky Nook. Gray’s Beach Park was still a marshy, rocky shore. Shade trees stood few and far between. It’s easy to imagine old Joshua Delano walking along the tracks, travelling from his warehouse at the wharf now named for him to his home on Main Street for his mid-day meal.